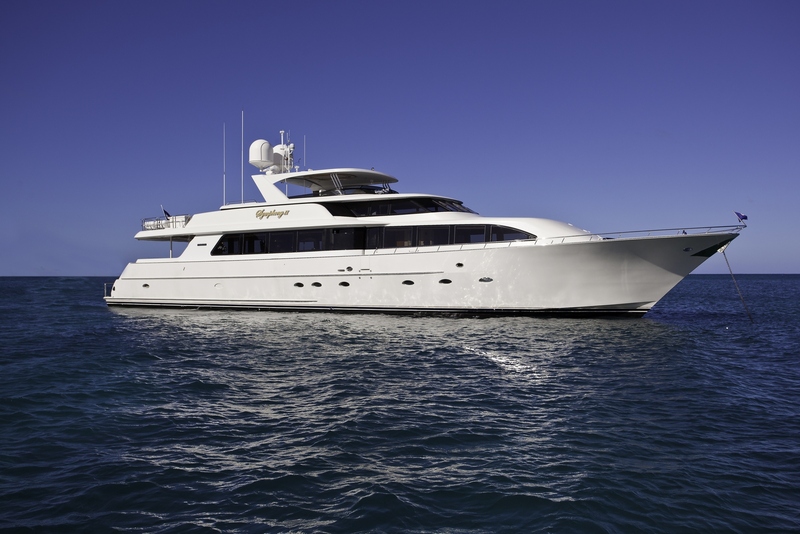 Delivered in 2007, this Westport 112 provides accommodation for eight in four staterooms. Her spacious master stateroom features a king bed and his & her bath. There is a VIP stateroom forward with a queen berth, an additional queen stateroom aft and a twin stateroom which can convert to a king. Her main salon is inviting, featuring warm tones with an elegant refinement. Forward and adjoining the saloon is the formal dining area with seating for up to eight guests. 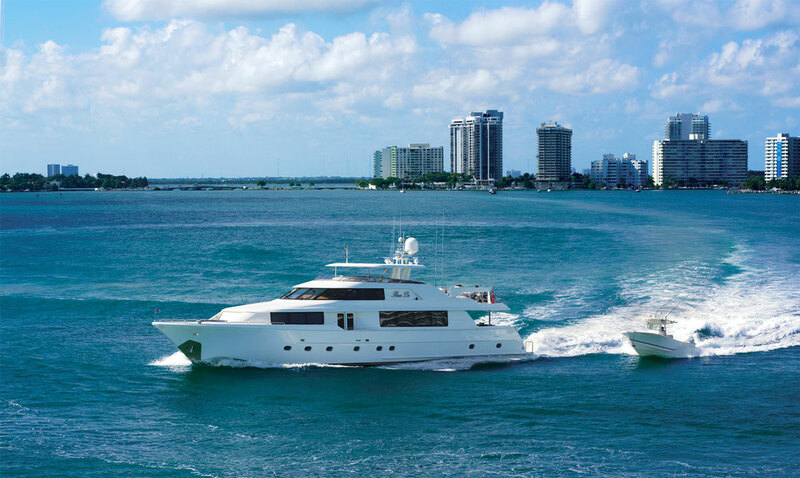 Nina Lu will be featured in the upcoming International Miami Boat Show and in the RJC YACHTS display asking $7,995,000. RJC Yacht Sales & Charter – SYMPHONY II , 2001 112′ Westport – SOLD! RJC Yacht Sales & Charter successfully closed yesterday on the 2001 112′ Westport MY, SYMPHONY II. Robert Cury represented the seller and the buyer was represented by Justin Goins of Choto Marine. Her asking price was $ 4.395M. SYMPHONY II has been a very successful charter yacht for the past several years and the new owners plan to continue her reputation in the charter industry keeping her same name. She features a four stateroom layout and highly customized interior along with several charter amenities and toys.